Our menu is ever-evolving, but everything we serve shares one common trait: it's all made with next-level quality ingredients. 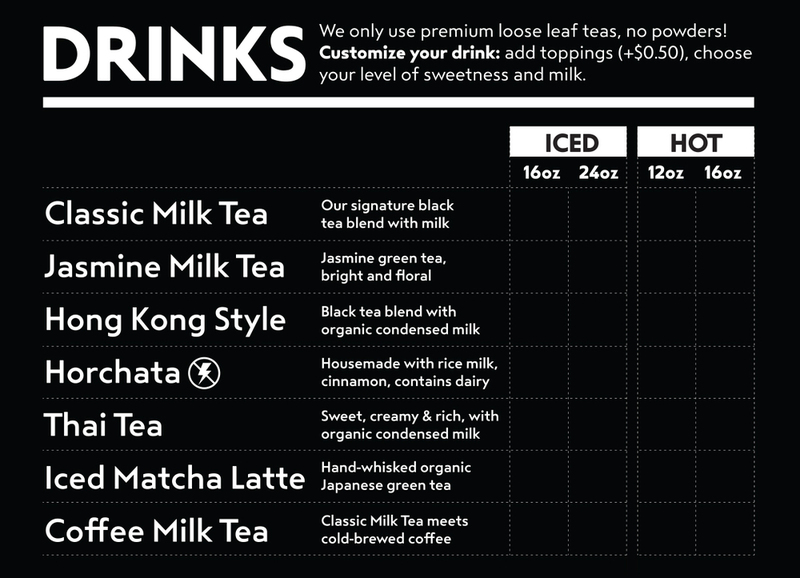 For our milk teas, we use only the finest ingredients: Straus Family Creamery organic milk accompanied with in house-brewed heirloom premium tea from the world's finest tea purveyors. Our syrup is housemade which means you'll see no signs of powders and artificial syrups. We also use Grade A balls (we just like saying that). Plus, our almond jelly and grass jelly are made from scratch, if you prefer jelly over balls.